The Formula 1 championship battle may be over, but there is plenty of pride at stake at this weekend's season-concluding Abu Dhabi Grand Prix. Though Lewis Hamilton clinched his fourth F1 world title in Mexico last month, the Mercedes driver had hoped to finish the season in more glittering form. Ninth in Mexico followed by fourth in Brazil is his worst run in successive races since the final two grands prix of the 2013 season. Hamilton took his foot off the gas after winning the title early in 2015, with then title rival and team-mate Nico Rosberg winning the final three races of the season. Rosberg carried that momentum into the next season, winning the first four races and giving him an early edge in a title battle he would go on to win. With Sebastian Vettel bouncing back in Brazil and giving Ferrari its first win since the Hungarian GP in July, Hamilton will want to avoid his 2017 rival gaining similar momentum. The Yas Marina circuit has been a Mercedes fortress in the V6 turbo hybrid era, with Hamilton and Rosberg sharing the three wins. But Vettel has won three times under the lights in Abu Dhabi and has shown throughout the season that he has a Ferrari that can challenge Mercedes. Vettel's victory in Brazil was important for his and the team's confidence as it drew a line in the sand following a miserable run of form that started in Singapore and derailed its title hopes. Eighth place or higher, no matter where Mercedes rival Valtteri Bottas finishes, will be enough for Vettel to finish second in the drivers' standings. But Vettel will be focused on another win in Abu Dhabi as it will send out a strong message ahead of next season's title battle, which could be tighter given the stability in the technical regulations. While most of the constructors' championship positions at the sharp end of the table are sorted, there is an intriguing battle for sixth. Toro Rosso leads the way, but it is just four points clear of Renault with Haas only two further back in eighth. With the drop in from sixth to eighth believed to be worth $6.5million in F1 prize money, Abu Dhabi is a critical race for all three teams. The Abu Dhabi GP is one of the most spectacular on the calendar. As F1's only twilight race, it starts in daylight and ends at night, providing changeable conditions for drivers to deal with as the race goes on. Situated on the man-made Yas Island, the venue is the most expensive racetrack ever built and features a unique pitlane exit that passes under the track. If you want the opportunity to be in Abu Dhabi to watch the curtain fall on a thrilling season, as well as gain unprecedented access to Formula 1, the championship's official ticket and travel provider F1 Experiences can make that happen. 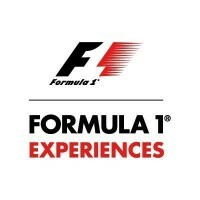 Experience privileged off-track access, including behind-the-scenes tours of the F1 paddock and pitlane, a driving tour of the Yas Marina track, podium ceremony access and a ticket to an exclusive Paddock Club party that this weekend will be attended by McLaren's Stoffel Vandoorne. You can also get your photo taken on the podium and enjoy VIP trackside yacht access, which will include a meet-an-greet with Esteban Ocon, at Yas Marina. Previous driver appearances have also included Sergio Perez, Nico Hulkenberg, Fernando Alonso, Romain Grosjean, Damon Hill, Jacques Villeneuve, Ocon and Max Verstappen. Verstappen has been one of the stars of the second-half of the season, winning two of the last five races in the Red Bull. The Dutchman and team-mate Daniel Ricciardo were a supporting act in Brazil but the duo will hope to play more of a factor this weekend and go into the off-season on a high.